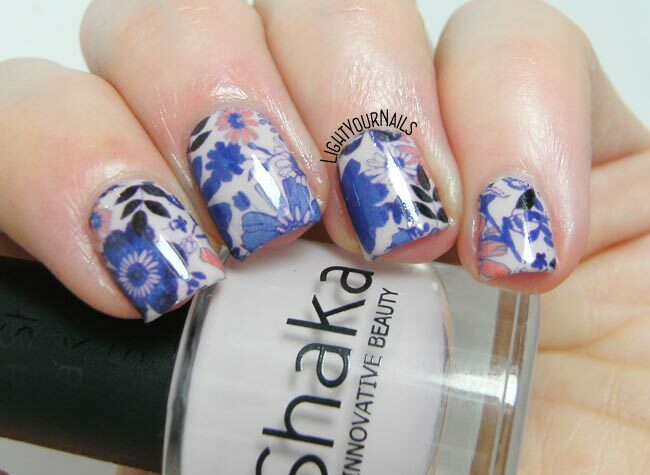 Blue and pink floral nails | Light Your Nails! 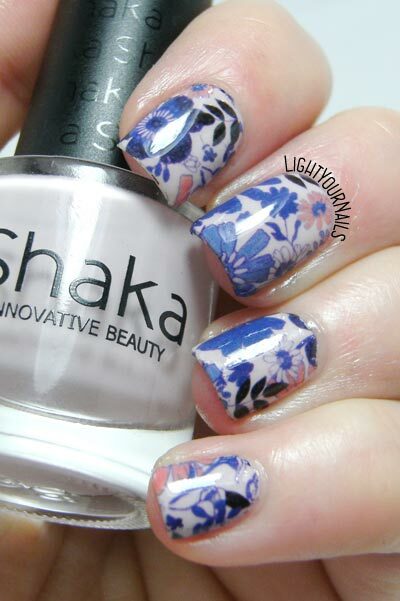 Today I am showing you a floral nail art created with some water decals. 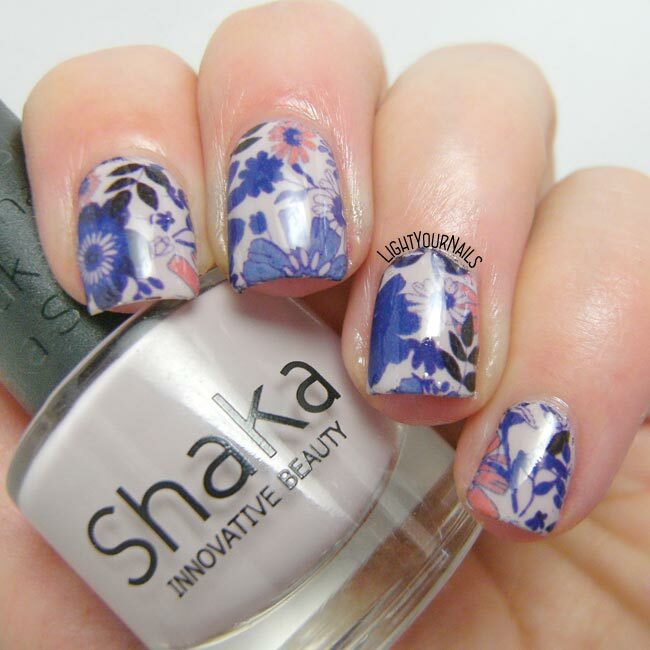 I had Shaka Sweet Love on my nails and I realized I had a set of decals from Bornprettystore that would match it perfectly. Using decals is pretty easy. You just cut them to your nail size, you remove the protection plastic and you put them in a water bowl. After a few seconds the sticker lifts from its base and you can apply it to your nail. After positioning the stickers to the desired spot I lightly press them with a paper towel to absorb excess water. I wait a few minutes before top coating so I am sure I won’t drag the colours. Actually after being done with this mani I decided to go matte with it. You see that in my last photo. There’s only a flaw about these decals: they are enough for 5 nails only. This sheet has 4 different rows and each row is for 5 nails. That means you can either use them for accent nails or you can cut them in smaller or diagonal pieces. I must say that this sheet is part of a 5 pieces set though and it’s the only one made like this. The other 4 sheets have 4 rows of 5 nails each with 2 different designs i.e. 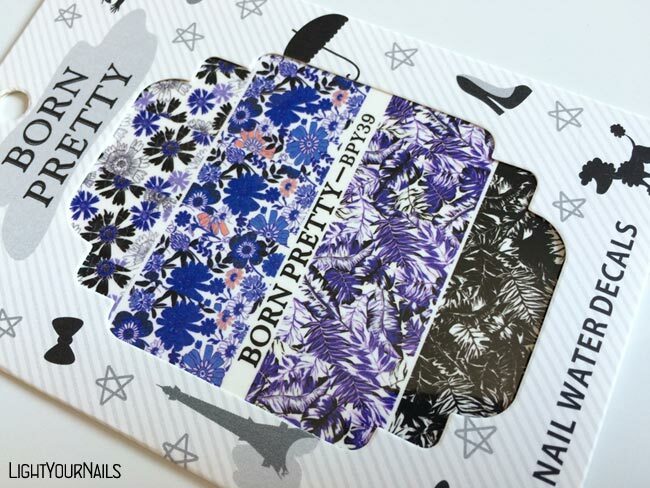 you can do 2 full manis with each sheet. Anyway, the price is so cheap (4,99$ for 5 sheets) that you can’t really beat it. 4 sheets worth 2 full manis + 1 sheet worth 2 accent nail arts = 12 manis for less than 5$. How do you like today’s mani? And do you prefer it matte or glossy? E'vero! Dovrei usarli più spesso! Ma che meraviglia questa waterdecal!!! Adoro questi temi floreali sul blu, non è il solito fiorellino rosa/pesca.